When Volvo presented its news for the 1975 model year in August, the programme included a new version - the Volvo 265. For the first time, Volvo was now able to offer an estate with a 6-cylinder engine. The Volvo 265 was based on the practical design of the 245 but in combination with the comfort of a 6-cylinder engine. 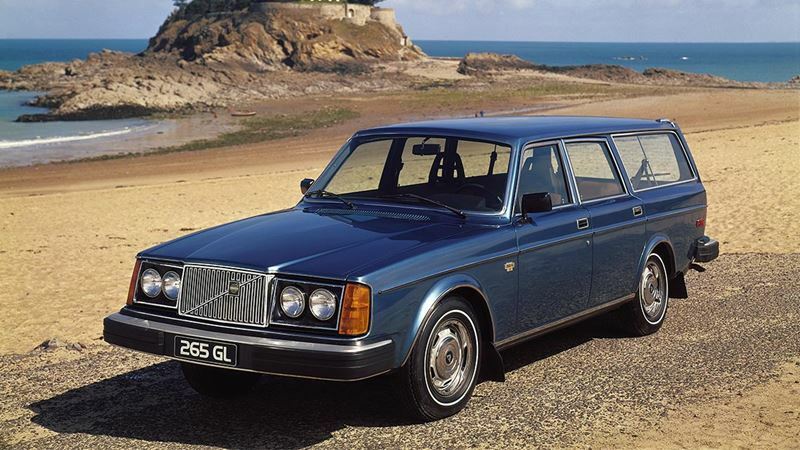 With the Volvo 265, Volvo further consolidated its position as one of the leading estate manufacturers. Length 190.7 in (4,844 mm), width 67.7 in (1,720 mm), height 57.1 in (1,450 mm), wheelbase 104.3 in (2,649 mm), kerb weight 1,465 kg (3,230 lb).